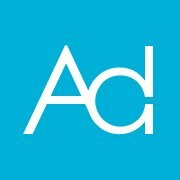 Adaptly is social media ad buying company revolutionizing social web advertising. Do you like autonomy & owning a problem from proof-of-concept, to design/architecture, code delivery, & deployment? Do you also like to work independently but appreciate collaborating with other talented engineers on complex problems? Adaptly is looking for a Software Engineer in Test (SET) who are: strong enough programmers to write feature code, strong enough testers to test just about anything, & able to manage their own work & tools. Good SETs see both the forest & the trees-they can look at a small function prototype or API & imagine all the ways the underlying code can be used & how it can be broken. Adaptly SETs are hybrid Automation Engineers & Software Developers. SETs will determine & develop both traditional end-to-end Selenium tests & unit/integration tests along with the required test framework (i.e. mocks, stubs, test data, etc). A deep understanding of the product & its code base will be required in order to accomplish these tasks.